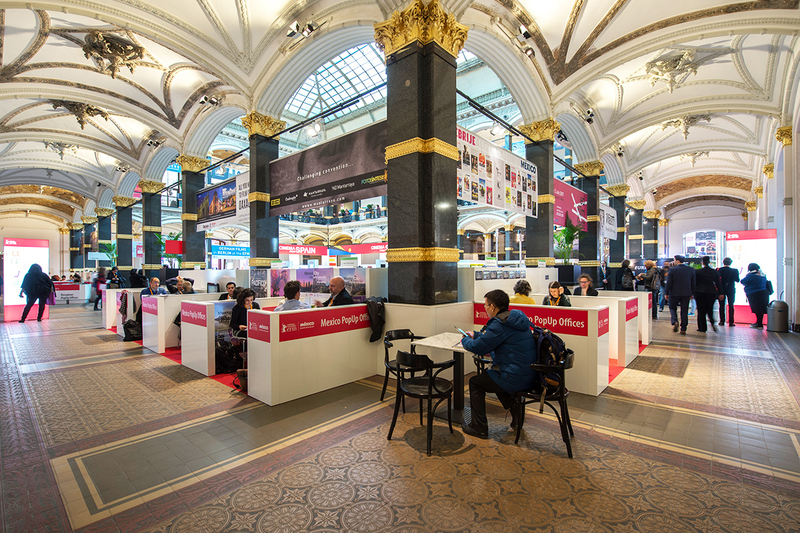 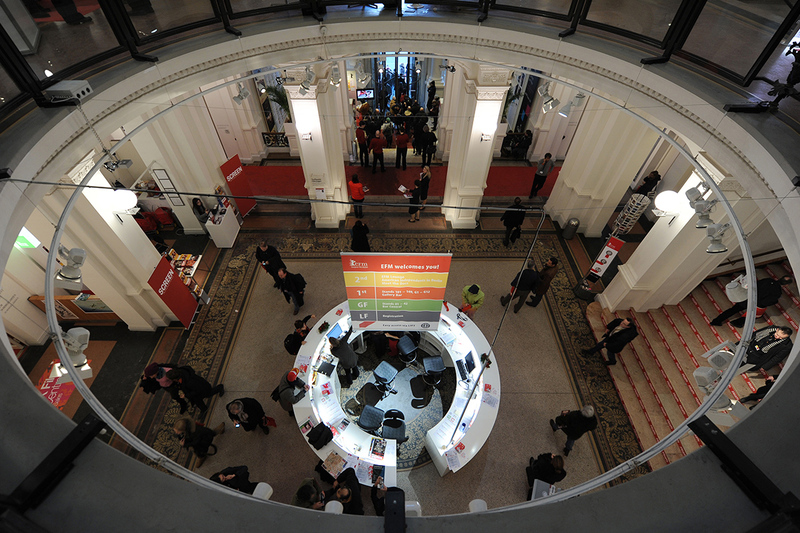 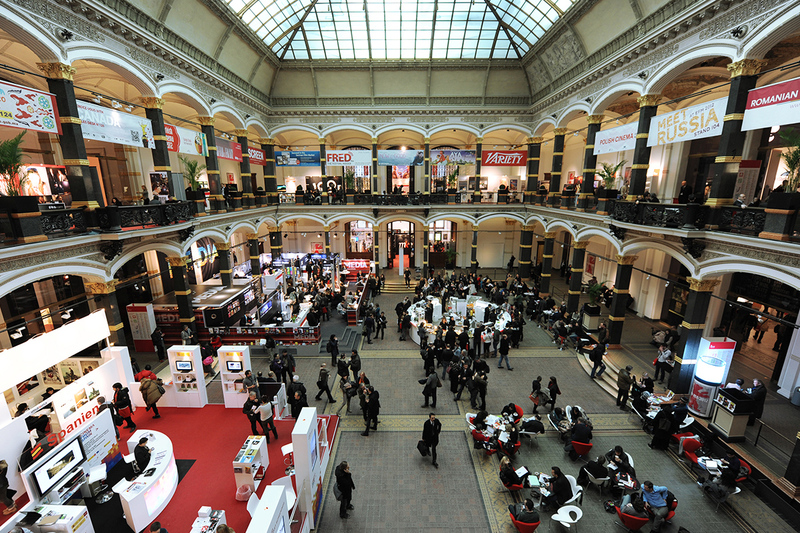 With a revenue of some hundred million Euros, 9,000 visitors from 100 countries and more than 500 exhibitors the EFM is one of the most significant branch meetings of the international film industry. 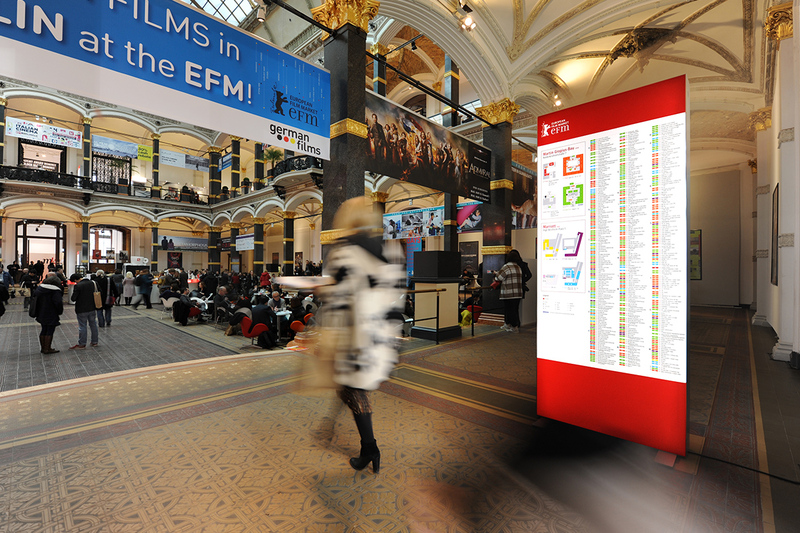 Initially at Potsdamer Platz, the EFM moved to the Martin Gropius Building in 2006. 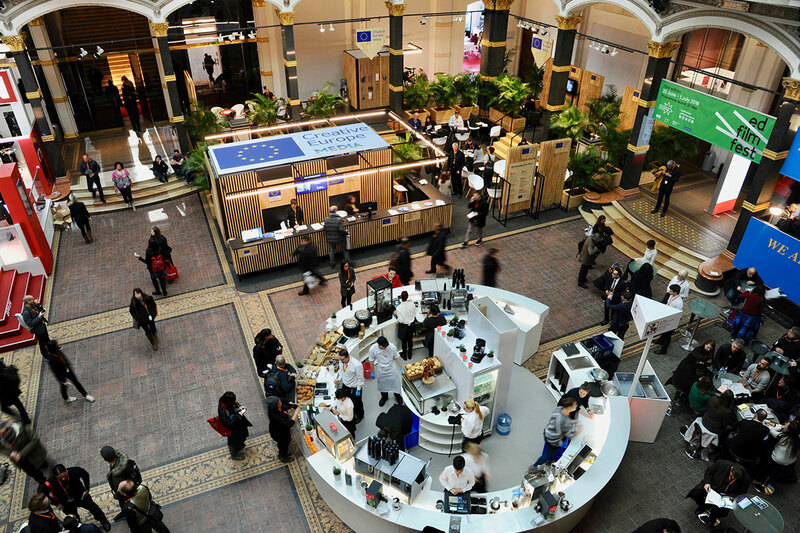 A tailor-made trade fair construction system, suitable for the protected historic building and the requirements of the customers had to therefore be developed within a very short time. 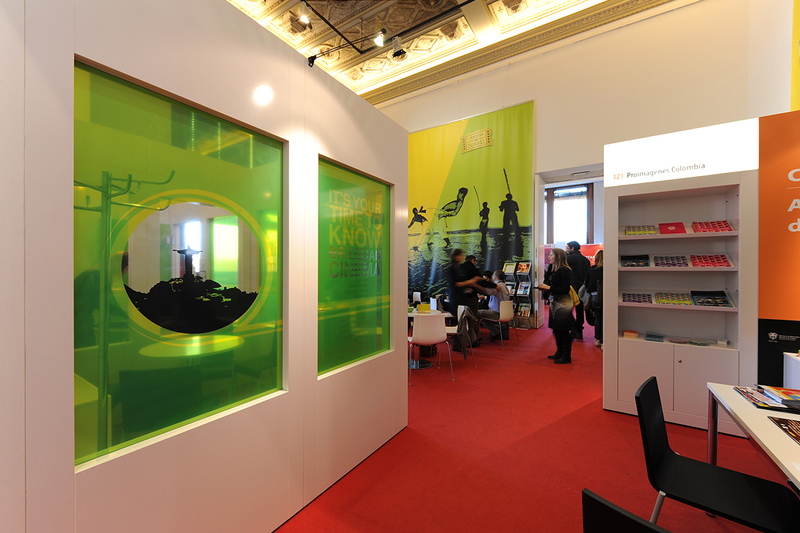 We won the tender and delivered on time and since then have equipped the EFM with our in-house trade-fair construction system, known as kxeno. 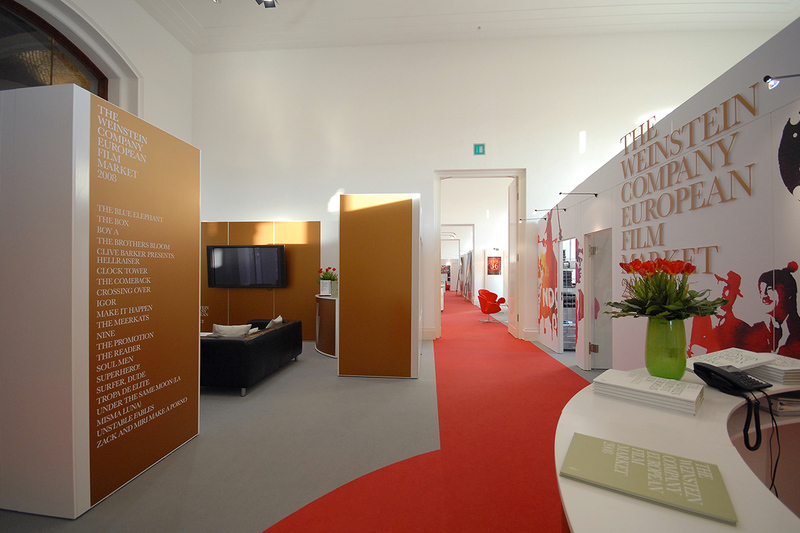 Every year we now arrive with 15 fully loaded articulated lorries and within a week set up 5,000 square metres of exhibition space, all to the individual demands of the exhibitors.